Do the upcoming holidays have your calendar and to-do list on overload? Do the extra expenses at this time of year have you financially stressed? Do the crowds and long lines lead to anxiety and panic? 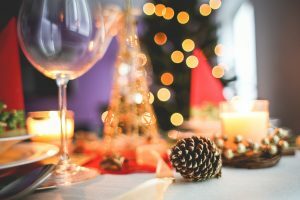 Then read on for some top organizing tips on how to make this time of year more festive, relaxing and enjoyable! Designate 2 areas in the house for gifts coming in and gifts going out, preferably not well-traveled areas or where kids hang out. Group the gifts going out into categories, such as teachers, family, friends, service providers, etc. Make lists for each group of gifts. Include who, what was given, how much was spent, etc. This will be very helpful this time next year! Create a gift wrapping center. A central location keeps you from having gifts scattered all over the house, makes it easy to keep inventory, creates a central location for all wrapping paper, ribbon, cards, etc. Stock this area with extra gifts for kids your child’s ages, typical housewarming gifts, items you see on sale, etc. What do I do with unwanted gifts? Do NOT feel obligated to keep, as clutter is not a gift! You can donate the item, try to return it or put in the designated gift wrap area for re-gifting (just be careful and make a list so you don’t risk gifting the item back to the person who gave it to you, oops!). Create one central notebook or binder. Create tabs or sections for budget, guest list, food, entertainment, decorations, etc. Use sheet protectors for pictures, magazine articles, business cards and the like. Be sure to use extra-wide tabs so the sheet protectors don’t hide the tabs. Looking for ways to simplify? It’s totally acceptable to use paper goods. Consider making it pot luck. Bake ahead of time and freeze. Delegate! If possible, hire a cleaning service and/or a caterer. Stock up on Ziploc bags, aluminum foil, Saran wrap and extra paper goods. Have an empty dishwasher ready to go. Clear your kitchen of all clutter so you have plenty of room to spread out platters and prepare. Clean out your refrigerator and freezer to make extra storage room. Already dreading the clean up? Give each guest a Ziploc bag of leftovers when they leave. Do not over-schedule the next day. Instead use that day to put all dishes, platters, tables and chairs away. Consider who is coming. Do small kids require you put away the breakables? Check your inventory of towels, pillows, linens, paper goods, toilet paper, etc. Find out what they enjoy eating and make a grocery run. Schedule time to change sheets, clean out the guest room, and prepare the rest of your home. Go room by room and de-clutter. Focus on areas where everyone will be if you don’t have time to do the whole house. Consider having a cleaning service clean and prepare their space. Ensure they have adequate room to unpack and store their belongings. 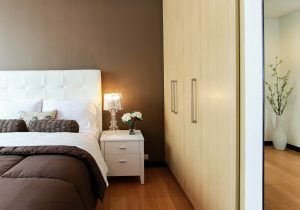 Consider over the door hangers for clothes, under the bed storage, etc. Cook and freeze so you don’t have to cook every day and you can enjoy more time with your guests (assuming you actually want to be with them). Ask your guests what their goals are. Do they want to stay busy or relax? When planning activities, consider off peak visiting times since places will be more crowded than usual. First and foremost, ask yourself what you want to get out of the holidays. What do you like best about this time of the year? What do you like least? Which family traditions are worth keeping and which ones can you let go? What new ideas have you been wanting to try? Once you know the answers to these questions, it will be easier to prioritize those dates, activities, tasks and obligations that fit your vision and which ones you can say no to. 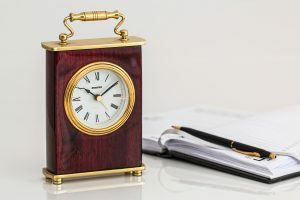 Allow extra times for routines errands and tasks. The stores are crowded, lines are longer, traffic is worse. Plan accordingly! You don’t have to attend all the parties and events! Take 24 hours to decide if it fits your vision and priorities. Take time to enjoy the lights, decorations and music! Does sending out holiday cards seem like a nice idea yet how will it ever get done on time? Computerize and update your list throughout the year. Allot 15-20 minutes regularly to work on them. Delegate tasks to your kids, even the younger ones can stamp and seal! 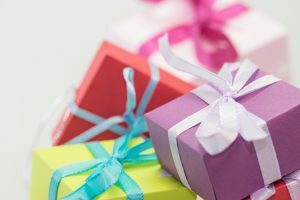 Gift giving starts out as a fun project, yet that initial excitement can wane quickly. Try the following tricks to make it easier and less stressful: Lists, lists, lists! Start early and pick up gifts every week. Wrap as you go. Make a note of which ones need to be shipped and purchase those first. Get items like gift cards in places you are already going, such as the grocery store. If you can, take a day off during the week or shop early in the morning. Buy extra gift cards or generic gifts for people you forget or for unexpected guests. Call stores ahead of time and make sure the item is still available. Shop alone, as most people spend more when they are with others plus it takes more time. So, there you have it. The holidays can be enjoyable and stress-free. You just have to plan, use your time well, delegate, simplify and take time to enjoy. Still stressed and overwhelmed? No worries! Call Put It There and let us help make these extra demands less stressful and anxiety ridden!